Today we will talk about a real little powerhouse. It is only 33 cm tall, but boasts an immense depth. It is a very important all-rounder. It represents an important pillar in the decision-making process for end-customers. For our partners as well for us it combines the showroom, reference list and the base of reasoning. Across 234 pages you will find all 11 collections, represented by references from around the world. Optically kept in the classic mafi grey, the cover captivates through the natural carton with an honest and haptic appearance. The spine consists of printed linseed material and thus creates a bridge to our natural linseed-based oil. So that no one loses the overview, inside can be found little Post-It´s for marking one’s personal favourites. Thematically, our Portfolio enables a gentle introduction and broaches the issues of “What we can do” and “What we stand for” - apart from that we let our products do the talking. Especially helpful are our reference categories on the last page, allowing quick and easy finding of examples for areas such as restaurants, hotels and shops. The catalogue is available under the Brochures section of our website for download and also digital browsing. Using the article code you can jump directly to the corresponding product. 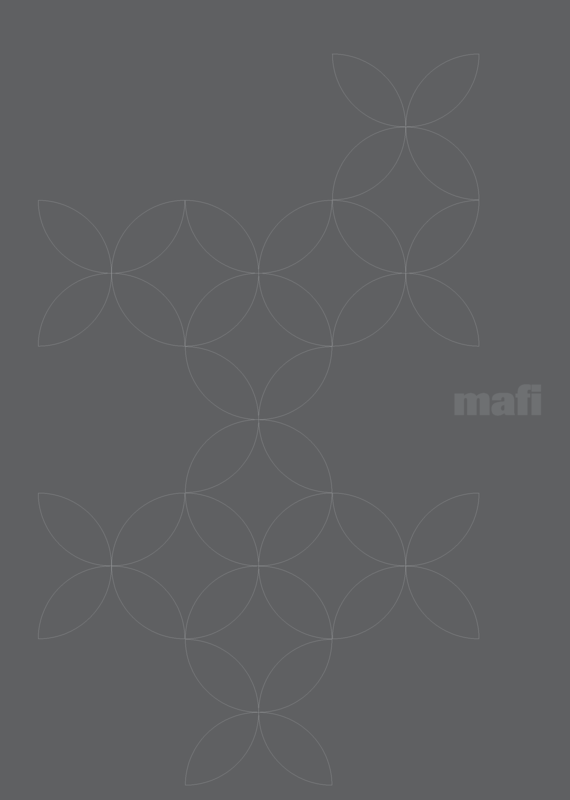 All this however can only act as a substitute and reduction in waiting time until you hold the new mafi Portfolio in your hands. Your internal sales contact will happily assist you further. Have fun, inspiration and success!